As Miami Music Week descends upon the international dance music industry, the sunny South Florida metropolis will become ground zero for all things electronic music culture. With artists, labels, and brands coming from all corners of the globe to showcase their sound and styles, the event is also a showcase for those who make up its local scene – internationally regarded in its own right. One such local prepping for the marathon week ahead is Do Not Sit On The Furniture. An intimate space, the South Beach nightclub owned and operated by DJ legend Behrouz and wife Megan Nazari has become a welcome breath of fresh air from the frequently pretentious glitz and glam of the cities velvet rope nightlife culture. An idea some 12 years in the making from when the couple moved coasts from San Francisco, Do Not Sit on the Furniture has since welcomed internationally renowned artists, the finest local selectors, and thousands upon thousands of enthusiastic and like minded patrons for the 6 years its doors have been open. The influences for Do Not Sit on the Furniture’s approach can be traced to both San Francisco’s diversity and Miami’s “traditional” club culture. The former, by way of the music and mentality from of the world’s most forward thinking cities, where everything from disco and garage to industrial and deep sounds provided a variety of clubbing options throughout its golden era. The latter, influencing the name and layout – where VIP sofas would dot club floors denying space for dancing, hence “Do Not Sit on the Furniture”. It is also the sands of Burning Man, however, that have provided a main source of the club’s inspiration, influencing the community centric, intimate approach and aesthetics of the venue and overall brand. As a result, this cultural hybridity has made Do Not Sit on the Furniture both a cheeky yet serious, sophisticated yet fun escape. 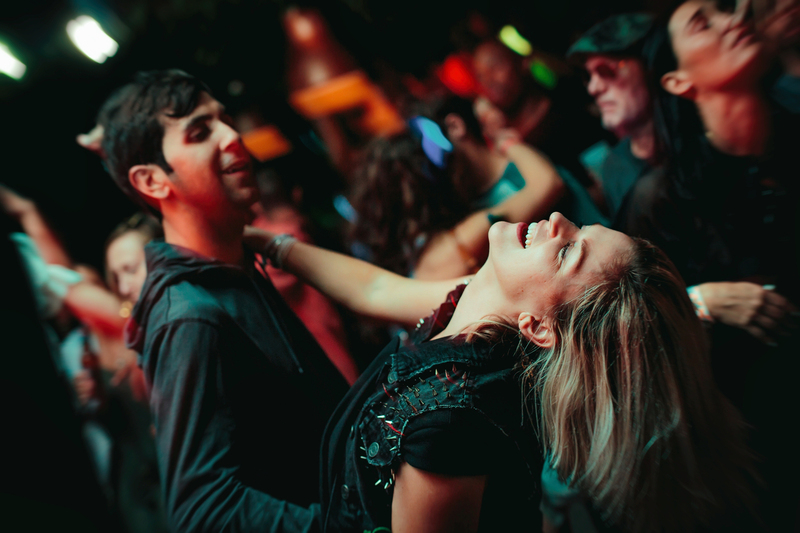 Its impact on Miami nightlife has been undeniable, essentially introducing the Burning Man inspired desert sound to the city, one that Behrouz remains a founding and integral figure. The club has pushed the sound its booths and by way of its eponymous record label, while also helping build the careers of many up and coming, talented local DJs. And, not to be understated, its intimate approach in the face of VIP culture has been nothing short of a game changer in Miami and throughout the increasingly proliferating world of high end clubbing internationally. Speaking of international, Do Not Sit on the Furniture has also made consistent steps in making its presence felt around the globe with several international stops over the past couple of years. 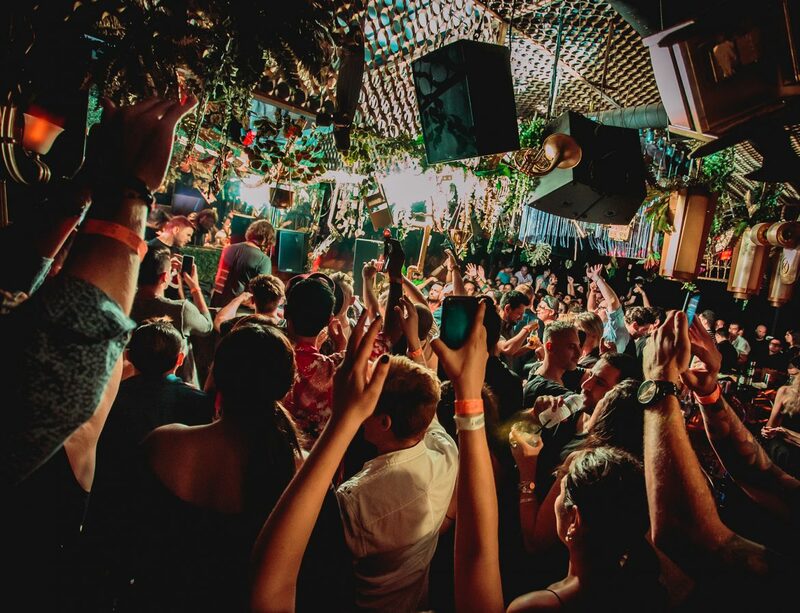 The first, at Ibiza Beach Club laid the foundation for further stops in cities like Amsterdam, Dubai (pulling in an impressive 2500 people at Soho Garden), Lebanon, London, Mexico City, and Tulum, culminating with a 17-week residency at HEART Ibiza in 2018. The 2019 summer will see a new Ibiza residency, as well as one on the Greek island of Mykonos. Continuing to grow organically and adding pieces to the brand and passionate members to its family, Do Not Sit on the Furniture is one of the premiere underground movements in Miami and around the world. Whether it is the club, record label, or international events, it continues to inject life, meaning, and culture throughout the scene, and with Miami Music Week on the horizon, what better way to pull out all the stops and stand out from the competition than with a week’s worth of quality and diverse events. Across the Miami Music Week dates, Do Not Sit on the Furniture will welcome several of its core musical family including Holmar, Matthias Meyer, Sabo, Goldcap, Atish, and Powel, while also welcoming a slew of preeminent dance music brands and artists to the club like Neverdogs’ Bamboteo concept, Little Helpers with Alexi Delano and Butane, Eelke Kleijn’s Days Like Nights, as well as legends Dennis Ferrer, DJ Pierre, DJ Sneak, and more. On Tuesday, March 26, they also take over The Delano Pool with a very special daytime event featuring Damian Lazarus, Francesca Lombardo, Matthias Meyer, Dee Montero, Dude Skywalker, and of course, Behrouz himself. Do Not Sit on the Furniture’s motto is simple: just keep on dancing. With its world-class music curation, unique art installations, and top-notch craft cocktails to boot, not only is the motto easy to abide by, but also can be done at one of the most eclectic and open nightclubs in the country. Steve Rickinson is Editor in Chief of DHA (Deep House Amsterdam) and its sister sites covering London and Ibiza. 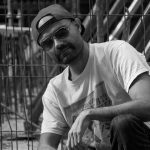 Originally from New York City, he is an Amsterdam based journalist who also writes on cinema, culture and visual art across a variety of platforms.